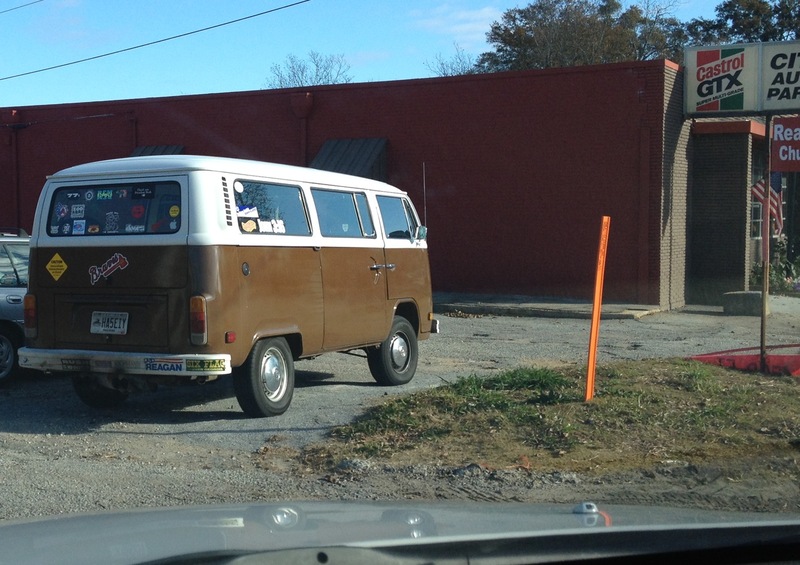 I attended Real Life Church today in Dallas, GA. You know the odds of having a great experience are increased when you pull into the parking lot and a vintage VW bus is parked there. I was not disappointed. One of the best moments was my 15-year-old daughter telling me after the service that she really liked it… and looking forward to going back. I was even happier about it when she told her brothers and sisters that she enjoyed it today! I have struggled finding a church for our family to call home for some time now. Wherever we end up going to I end up feeling restless for one reason or another. One friend told me I shouldn’t be concerned – that it’s confirmation of the vision God has given me. His words are so true. I’m still praying about where we belong… where God wants us to serve Him… a place not to just walk in and be feed and then go home. I’m desiring to give of myself to serve the Lord how He so chooses. My take away from our visit here today is that this church is being led by real people who desire to see real change in the lives of others. Stay with what you heard from the beginning, the original message. Let it sink into your life. If what you heard from the beginning lives deeply in you, you will live deeply in both Son and Father. This is exactly what Christ promised: eternal live, real life! (1 John 2:24-25, The Message).